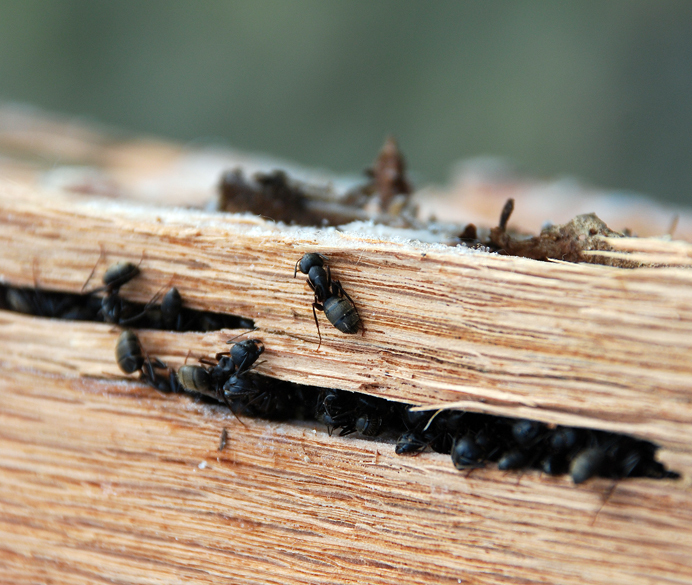 In the last post, I looked at carpenter ants overwintering in upstate New York. Here is Chandler, Arizona the temperatures the day this was taken ranged from a low of 45° F (7° C) to a high of 78° F (26° C). What are the ants doing here? 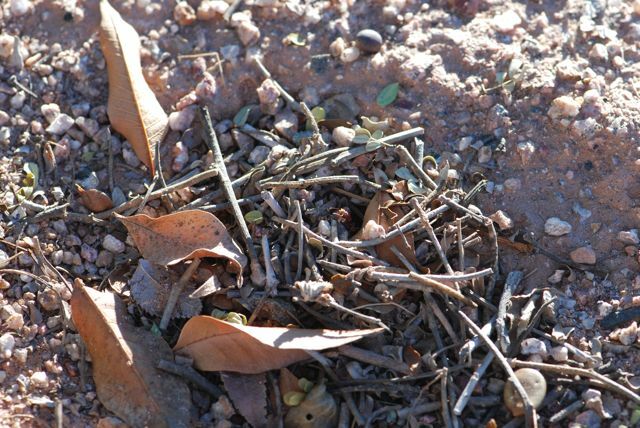 Any activity at this Pogonomyrex harvester ant nest? 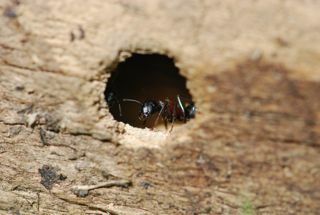 Can you see the ant coming out of the nest entrance? Looks like a bit of housecleaning. Most of the workers were coming out of the nest carrying debris. 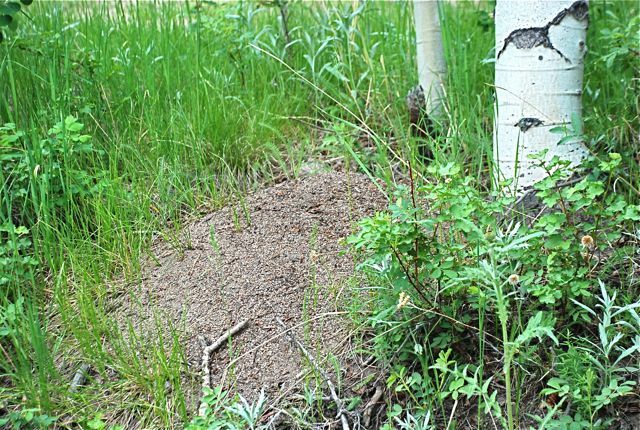 The ants were moving about six to eight inches from the entrance and depositing. What are ants doing where you live? 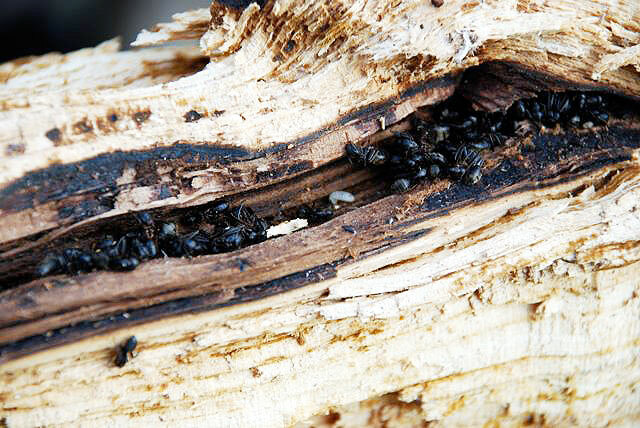 Last week I got a peek at where Camponotus pennsylvanicus carpenter ants spend the winter. The temperatures were hovering around freezing in upstate New York, where I was helping someone spit firewood. When the wood split, occasionally we would find tunnels, hardly more than grooves in the wood, packed with ants. Although the ants look like they might have been moving, they were mostly stiff and inactive. You could shake them out onto the ground without much resistance. This group was in softer wood with more decay. Notice the larva. 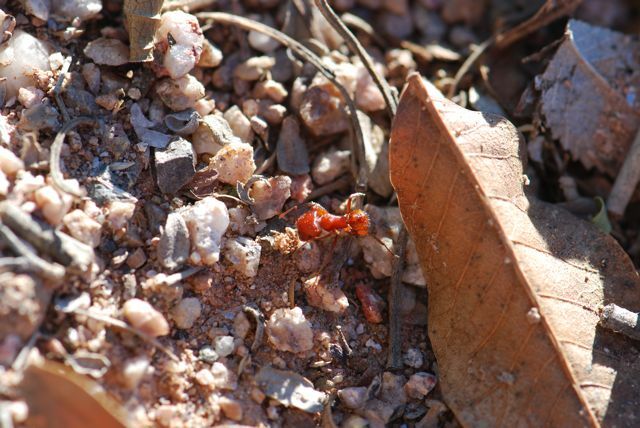 Most of the clusters of worker ants had small larvae with them. What are ants doing this month where you live? Cannon, C. A. 1990. Demography, cold hardiness, and nutrient reserves of overwintering nests of the carpenter ant, Camponotus pennsylvanicus (De Geer). M. S. Thesis, Virginia Polytechnic Institute and State University. 165 pp. Cannon, C.A. and R.D. Fell. 1992. Cold hardiness of the overwintering black carpenter ant. Physiol. Entomol. 17:121-126. Once again, our post has been inspired by a children’s book. This time it is Bugs and Bugsicles: Insects in the Winter by Amy S. Hansen and Robert C. Kray (illustrator). 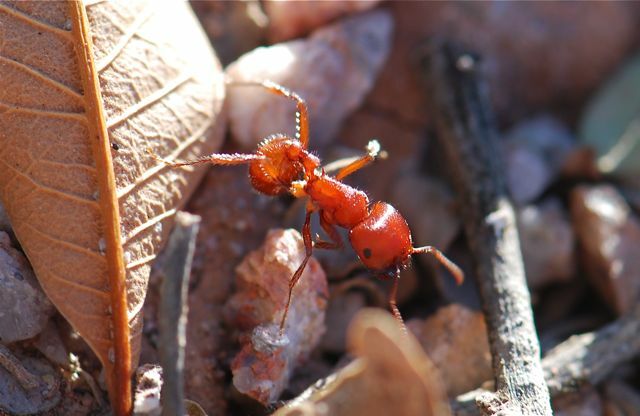 The authors follow different insects, including pavement ants, as they prepare for winter. I posted a review of this book at Wrapped In Foil and insects in winter activities at Growing With Science. When you see ants and other insects coming out in the spring, you may wonder “Where do ants spend the winter?” The answer is, it all depends on where in the world the ants live, and which of the over 12,000 species you are studying. Where below-freezing temperatures are common, ants exhibit a number of strategies to get by. 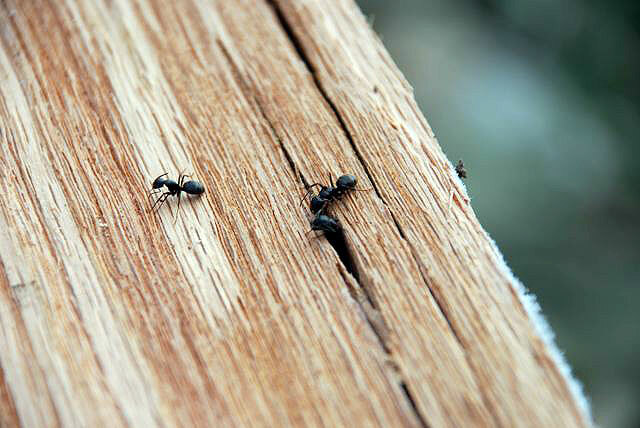 Some ants, like wood ants (Formica), can adjust the structure of their nests to help regulate the internal temperature. The huge mounds act as solar-collectors, increasing the temperature inside. 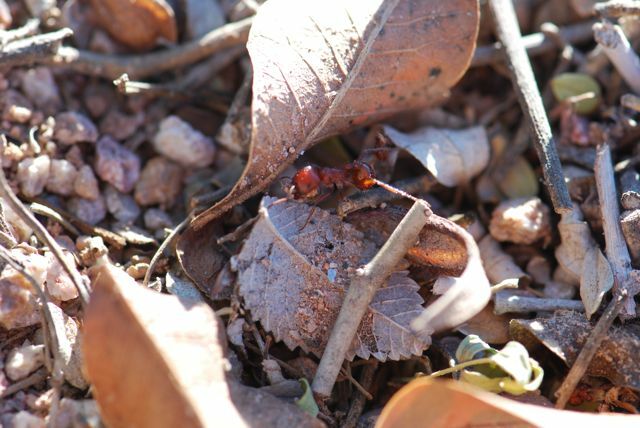 When it becomes too cold, wood ants retreat to deep underground, below the frost line. 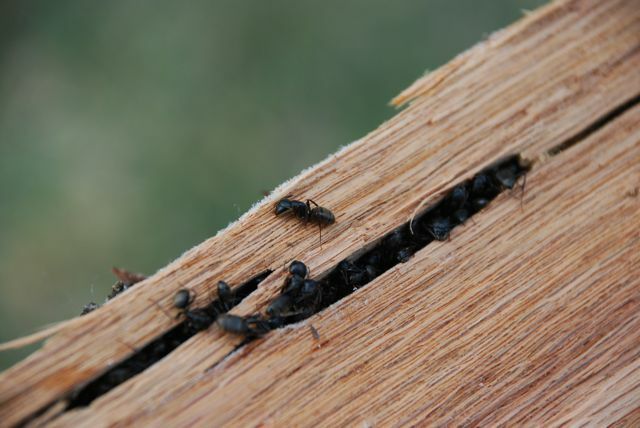 Camponotus carpenter ants, live in nests in wood. Although wood is a good insulator, it still freezes inside during the winter. 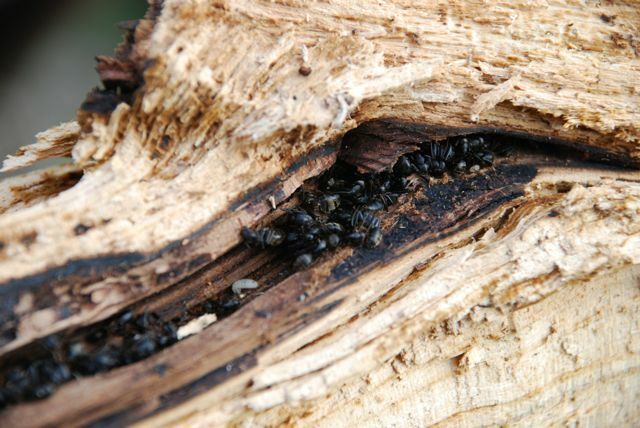 Carpenter ant species that live in temperate climates must have a provision for overwintering. The ants enter a state of slowed metabolism called “diapause.” Generally, the queen stops laying eggs. The workers develop large fat bodies, which can be seen as their gasters swell in size. The workers begin to aggregate more than before. In the two species I studied in upstate New York, Camponotus pennsylvanicus and Camponotus novaeboracensis, the larval stage also overwintered in the nest, but pupae and eggs did not. Although I kept my laboratory colonies at constant temperatures and light conditions, they still periodically went into diapause. It appeared that colonies required exposure to temperatures below 15° C for about 60 days to exit diapause. Without cold temperatures, the colonies would remain in a suspended state for extended periods. Acorn ants spend the winter inside acorns on the ground. These tiny ants form small colonies. When Joan Herbers and Christine Johnson took a look at how the colonies did over winter, they found low survivorship overall. Why do the ants stick it out in acorns instead of heading underground? 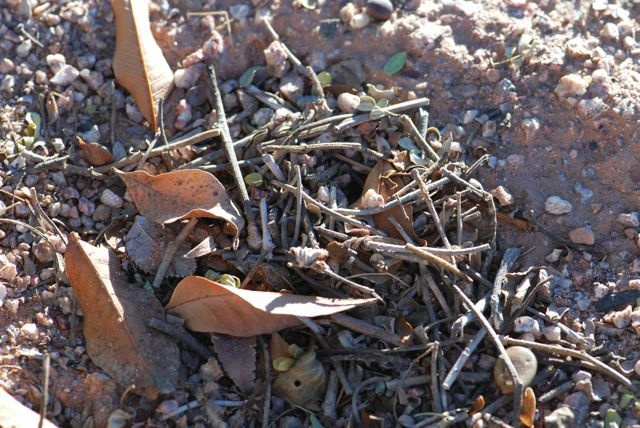 Some evidence suggests that by spring acorns are relatively rare, and by staying inside their prize home over winter, the acorn ants are assured of a summer home. (for acorn activities for kids, see Growing With Science). One species of ant, Prenolepis imparis, has earned itself the name of winter ant because it is often out foraging in temperatures near freezing. 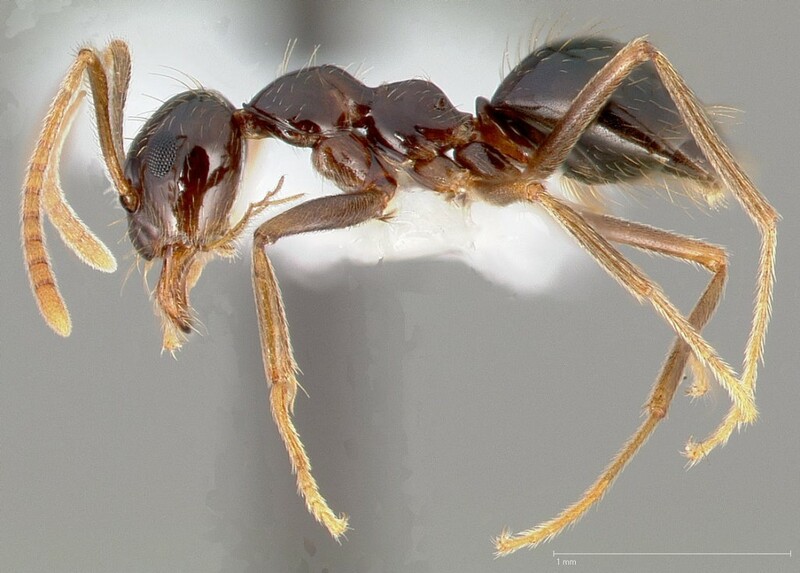 Walter Tschinkel showed that in northern Florida these ants actually are active from November to March and then workers seal up their underground nests and don’t come out until the following fall. Leave it to a species of ant to do things completely the opposite to most other insects. 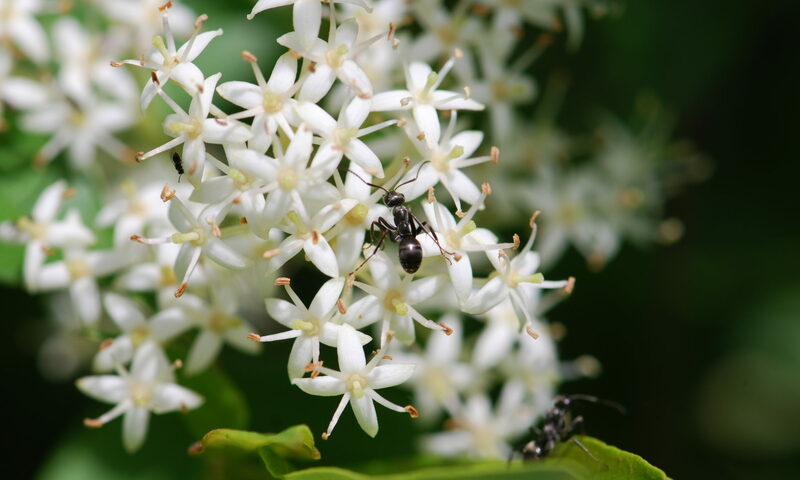 Ants that live in the tropics or hot climates don’t tend to react much to winter, although they may shut down temporarily during a dry or wet season instead. Some ants have extensive nests with elaborate ventilation systems, where the environment inside has uniform temperature and humidity year around. Now that’s the way to live. Are ants active where you live yet? Joan M. Herbers and Christine A. Johnson. 2007. 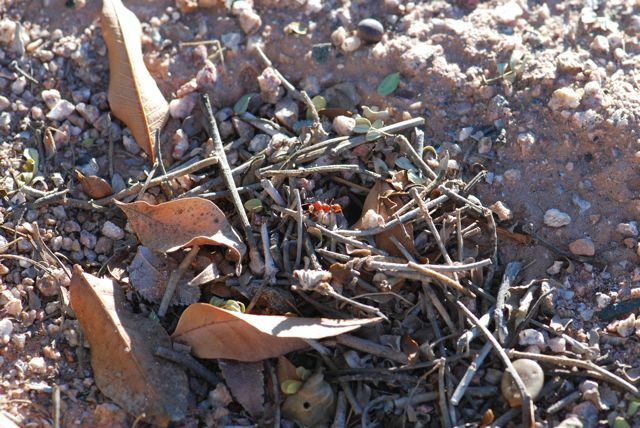 Social structure and winter survival in acorn ants. Oikos. 116(5): 829-835. Tauber, MJ, CA Tauber and S. Masaki. 1986. Seasonal adaptations in insects. Oxford University Press, New York. Walter R. Tschinkel. 1987. Seasonal life history and nest architecture of a winter-active ant, Prenolepis imparis. Insectes Sociaux. 34(3): 143-164.